"Rhapsody In Black" is an amazing composition that keeps you on the edge of your seat in anticipation of what's next. 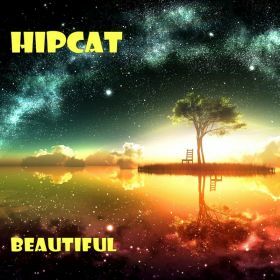 It is full of mood changes that use a variety of sound textures to deliver a package that is more than deserving of the attention of anyone that loves progressive music. Rhapsody In Black is reminiscent of the styles of keyboard greats like Rick Wakeman, Keith Emerson and other accomplished keyboardists. I took great pleasure in reviewing this composition and can honestly say that I am a fan. I can't think of and music that I've heard recently that is more challenging than the many facets that Dizzy offers in this track. This is a very creative piece of work. My hat is off to Dizzy. From the moment I heard this artist last the piano I knew I was in for a awesome piece of work. Dizzy is a very talented pianist who writes some pretty cool stuff. I was intrigued by the title of the song but the melody took me to a happier place. I thought the composition was well thought out and kept my attention throughout the masterpiece. I look forward to hearing more from this gifted artist!! The composition is well thought out and the layers add depth and take you on a journey. I see u are into soulful instruments and that shows. I would definitely recommend . Right away i'm reminded of old honky-tonk piano-bar style...this is an interesting arrangement, as i've found with this artist on other songs, the music is very classically oriented, and very well delivered, always. I like the overall atmosphere of this song, it's light and floaty while at the same time bringing a certain brutality to the song, by proper use of dynamics, something that is rare today. Ciao Dizzy,grazie per aver chiesto la nostra opinione,non siamo critici musicali abituati a scrivere fiumi di parole quindi possiamo esprimere solo le nostre emozioni in maniera semplice.La tua musica ci piace molto,è molto interessante,ben orchestrata e ben eseguita,molto gradevole all'ascolto,complimenti. It's a really good instrumental. There were good tempo changes and the melody sounded really nice. Overall it was a good song and I'm glad you sent it to me! Well what can i say... This is brilliant ! You mix Berlioz with Paganini. Now comes a boogie,follow by espectacular arrangement. Great playing, in a delicious rhapsody structure. You are great ! Hope that i can listen more from you. Here's a fine example of an artist who is having fun making their music. From the electronic organ, piano and strings, Dizzy captures the essence of what you'd find on a TV theme song. I'll be listening for Dizzy in the movies!